Your legacy can leave a lasting impact on the community. For many people, the most significant way to show how much they care about their community is to leave a legacy or a planned gift. A planned gift is a carefully planned donation that strikes a delicate balance between your financial needs, your ongoing family commitments and your deepest charitable goals. By including the Chatham-Kent Health Alliance Foundation in your will, you can an impact on healthcare in your community that will last for generations to come. Your gift will have a broad and lasting impact. In addition to impacting the lives of those that are treated at CKHA’s Chatham and Wallaceburg sites, your gift will be permanently acknowledged through the Chatham-Kent Health Alliance Foundation Exemplar Society – a program that recognizes and honours the visionary donors who have shown their commitment to life, hope and generosity through a planned gift to the Chatham-Kent Health Alliance Foundation. 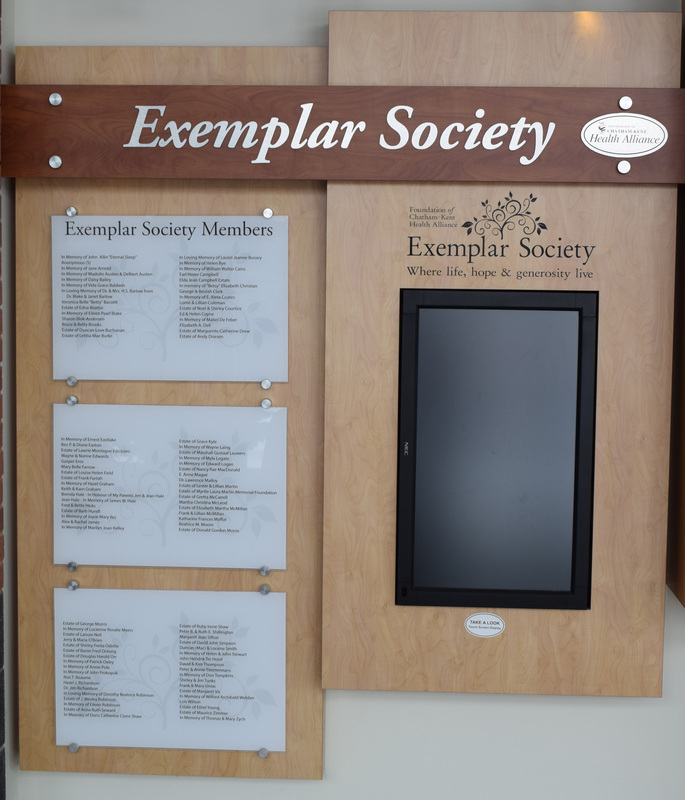 As an Exemplar Society member, your name will be prominently displayed on a special donor wall in the main lobbies at both the Chatham and Wallaceburg sites of CKHA. There are many ways you can leave a legacy that will impact your community long after you are gone, including bequests, life insurance, gifts of securities, and other options. Please see our Estate Planning section for more details, or contact us at 519-436-2538 or foundation@ckha.on.ca.